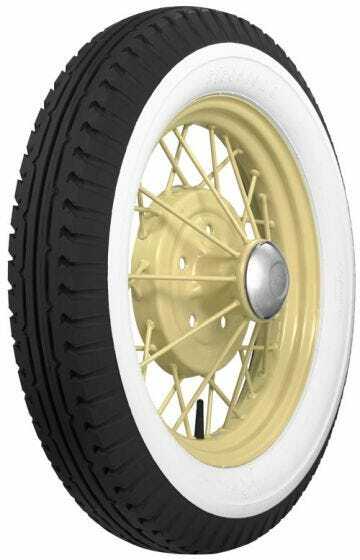 Firestone Wide Whitewall tires are exceptional fitments for vintage car restoration projects. These tires are expertly hand-crafted in refurbished original molds and feature authentic tread designs and sidewall markings. 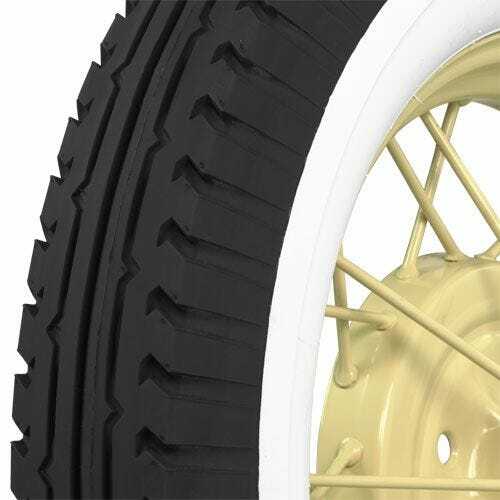 These tires feature beautiful genuine whitewall construction and are great tires for Model A Fords and similar era automobiles requiring a 19-, 20- or 21-inch tire size. 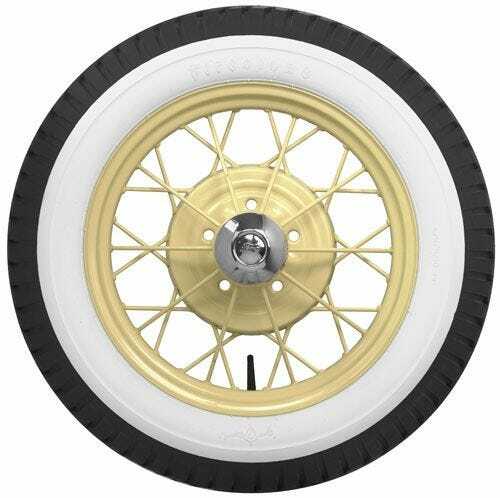 Firestone Bias Ply 19-21 Inch wide whitewall tires are a premium tire choice for fine antique automobiles. What is the recommendation for balancing on rim after tire is mounted? We suggest you have a shop with a Hunter computer balancing machine mount up the wheel on the lug holes, not the center hole. It should not be road force balanced. The machine will find any high and low spots in the tire and rim, allowing the tech to move the tire on the wheel to cancel them out (this is called indexing). Good day, I stay in Cape Town, Souh Afric. Can you ship 20inch white walls x4 to me? Please contact our exports department for assistance via email at exports@coker.com. Are you going to be at the Charlotte Auto Fair in September? if so will they have 4.5 x 21 whitewall tires with them? Yes, we will be attending the fall Charlotte Auto Fair. Our full schedule of events is available here. To ensure the tires you plan to purchase are available, call to place a pre-order at 1-800-251-6336 at least one week prior to the show start date.